As beautiful girls are being slaughtered and their blood drained from their bodies, the French police are frantically trying to hunt down the killers. A cult is murdering the young women and using their blood to write poems, leaving the word “Palmss” at every crime scene. The mysterious Chevalier Sphinx keeps turning up at the scene of the massacres to engage the “poet” long before the police arrive, battling the killer and making off with his poems. With the Chevalier interfering with their investigation, will the police ever put a stop to the killings? Set in France in 1753, Le Chevalier d’Eon is an exciting romp through the streets of Paris. d’Eon de Beaumont, a young member the police force, has about as much drive as a pinecone, but he longs to be promoted to the dragoons. Since his favorite activity seems to be sneaking in a catnap, it’s unlikely that his chief will put in a good word for him. Instead, he’s punished by being ordered to brush all of the horses in the stable, or to clean all of the muskets. Young and brash, it seems that whatever he does gets on his commanding officer’s nerves, leaving a clean-up detail to occupy the rest of his day. d’Eon, however, is secretly working for Louis XV. d’Eon’s sister, Lia, was also killed by one of the fanatical poets, and now her spirit takes over her brother to seek revenge and end put an end to the murderous cult. Fighting to stop the poets, d’Eon and Lia struggle to discover the meaning of the word “Palmss.” It’s the only clue that’s left behind, carved into the bodies of the dead women. What does it mean? What is the ultimate goal of the murderers? I really enjoyed the tense atmosphere of this story. Some comedic relief was supplied by d’Eon’s erratic behavior. It’s hard to believe that he’s the vessel for the avenging Chevalier Sphinx, when he acts like an incompetent fool. Working with the king, he’s trying to decipher the clues left by the poets, not only to put an end to their murderous ways, to to also save the king’s daughter. The poets that d’Eon battles are possessed by evil and start turning into monsters. It’s when they are about to transform that Lia takes over d’Eon. Dressed in a billowing gown and wearing a wig, d’Eon, possessed, by his sister’s spirit, challenges the poets with the blade of Thoth, the poems the final prize of the encounters. There are plenty of action-packed pages here as Lia and the poets wrestle for control of the blood-soaked verses. While I did wonder how she can fight encumbered with all of those petticoats and corsets, not to mention the clunky heels, I tried not to let that distract me from the story. I was not so fond of Kiriko Yumeji’s art. The line work, especially during the battles, is thick and heavy, and sometimes it’s hard to decipher exactly what is going on. Also, as the story progressed, the illustrations became more scratchy and the line work less controlled. An effect of looming deadlines? I don’t know, but the drawings definitely seemed less polished towards the end of this volume. Le Chevalier d’Eon was a fun hack and slash adventure with horror elements tossed in to give the plot a creepy feeling. I could take or leave the chaotic artwork and its heavy dark lines. The plot is rather generic, but it moves along at a rapid clip that held my interest, and made me wonder what’s in store for d’Eon next. 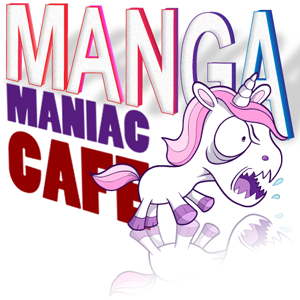 Pingback: MangaBlog » Blog Archive » 2008: The year of mangettes and light novels?